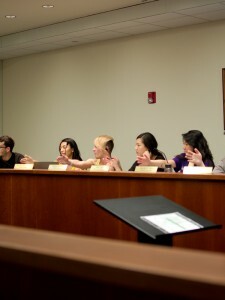 Last week’s ASUCR meeting witnessed the passage of a newly revised ASUCR Elections Code. 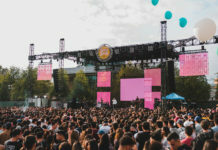 The three major revisions consist of setting a minimum number of six representatives in the elections committee, allowing the option of a party registration for candidates during ASUCR senator elections and modifying certain details in the recall process. The implementation of party registration will be an entirely new component of ASUCR senator elections. Students running in the election will now have the option of joining or forming a party, or running independently. According to Jonathan Mansoori, the newly selected Elections Chair, the reason for having parties is to change the technical term from slate to party. 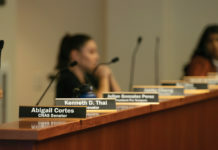 Candidates in past ASUCR senator elections have joined together in a slate, which drew concerns regarding the overall fairness of the election. The difference between a slate and a party lies in the distinction that a party is a registered group of candidates running together in an election. “This is basically to prevent slates from doing anything underground… it gives candidates more credibility, more transparency,” stated Mansoori during the meeting. He emphasized that these changes are to encourage the student population to get more involved and to prevent suspicious activity among candidates. Mansoori clarified that candidates will be given a week prior to campaigning to get to know the other candidates. Within that week’s time, they can decide whether or not they choose to join a party. He also stated that switching parties is considered negative campaigning, which is banned. Another change made to the elections code is enforcing a minimum number of six representatives within the elections committee. “The elections committee is independent from other committees within the senate… by enforcing a set number of representatives, there will be more student input,” explained Mansoori. Changes in recalls, the removal of office, include clarifying the steps in the impeachment process. Ten percent of student signatures must first be collected from the college of the senator. Then, 50 percent of the ASUCR senate must agree and sign. A vote will then take place in the college of the senator, and an impeachment can be successful with a 20 percent vote. Another portion of the meeting focused on voter registration and increasing student awareness and involvement. There will be “dorm storming” on Feb. 29 in an effort to reach out to the freshmen on campus and to encourage them to register to vote. ASUCR will also host a website launch to reach out to constituents and provide an opportunity for students to learn more about ASUCR; voting registration will be available there as well. The senate meeting concluded with officer reports and senate project updates. 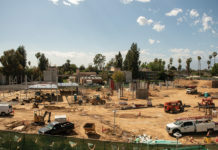 President Stephen Lee noted that the UCR School of Medicine would not be in the state budget this year; instead, the state would need to give UC Riverside one lump sum which would be allocated by the UCOP. Jane Kim from the Student Alumni Association also revealed that Dance Marathon has surpassed its fundraising goal of $10,000.